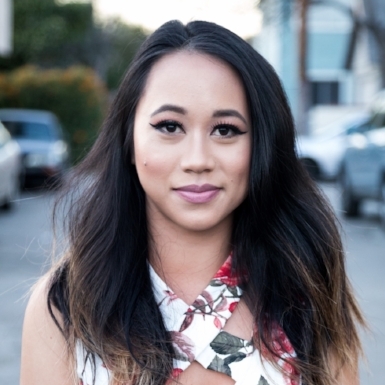 "Not only was my makeup & hair flawless but she was able to transition each look effortlessly." "Nikki came recommended to me by an amazing photographer for a Game-of-Thrones/Post-Apocalyptic photo shoot I was going to be in. Being on many movie sets & red carpet events, I've had the privilege to get my makeup & hair done by some of the best MUA/hairstylists in town and now I can add Nikki to that list. Not only was my makeup and hair flawless but she was able to transition each look effortlessly. From a warrior princess in the middle of the woods to a full Mad Max look; everything was on point and the makeup & hair lasted all day. Thanks girl, you rock! Can't wait to work together again." "Nikki is friendly, professional, and eager to help you bring the character to life." "Nikki is not only creative and talented, but also resourceful! I recently worked with Nikki for a photoshoot in the woods. Nikki was just as focused on keeping her station clean, hygienic, and comfortable for me as she was on applying the makeup itself (which turned out incredibly, of course). Besides making me look like a certifiable badass for two completely different looks, Nikki was so easy to work with. I would highly recommend her and can’t wait to work with her again!" "She did my makeup exactly how I envisioned it....GLAM MAKEUP! She made me feel like a princess and I definitely looked like a princess for my Valentine's Day date night. I have very oily skin and I let Nikki know and she was able to work with my skin type and my makeup lasted all day and night! I was so happy to have a flawless face! I definitely recommend Nikki as your next makeup artist"